Super quick post just to let you know that I was asked to write another guest post on the awesome crafting website Whip Up, about creativity and health. I’ve focused on my current body of work and what I’m trying to bring about in the viewer – happiness. I also looked a little at two of the main influences on my practice, Tassos Stevens from The Agency of Coney and the other is my grandmother, which is the reason for the awesome photo attached to this post. 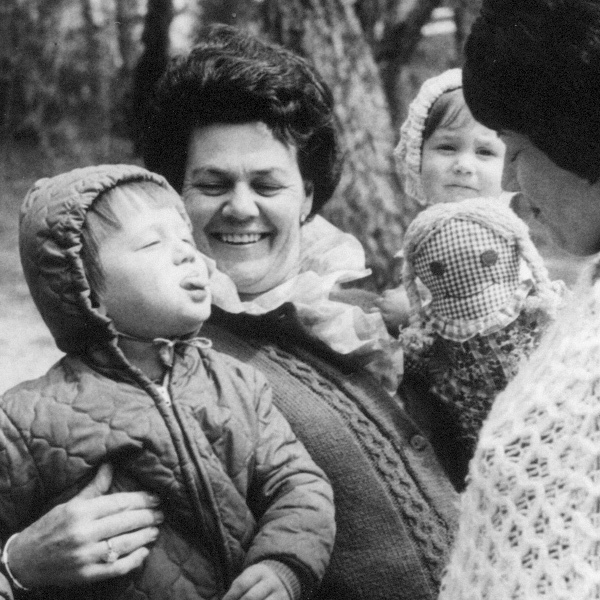 I love the happy gingham doll, Nan’s massive grin and the cheeky attitude of my brother. Fabulous picture – there’s a whole lot of Sayra right there! 🙂 Congrats on the guest post. Hi Steve! Thanks for your kind words 🙂 I was really thrilled to be asked to do another, and it’s really interesting to take time to reflect on your own practice, so it was a lovely opportunity all around really!